We gather for our monthly prayer meeting in the sanctuary and lift up the needs of our church, our community, and seek God's will for all we do. 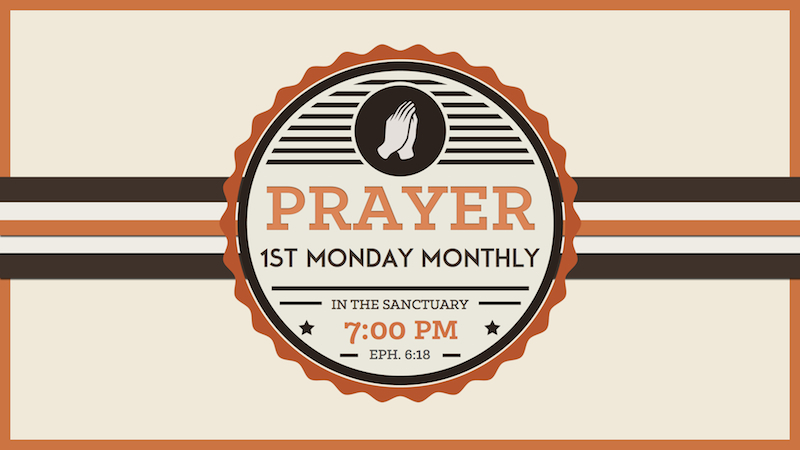 The entire church is encouraged to attend our corporate times of prayer and supplication. Children are welcome, too, as long as they are able to either take part in the prayer time or be quiet and respectful while we are praying.